Cate Blanchett and Robert Redford talk about Truth: "Telling the truth beneath the story you think you know"
Today’s Slacker Sunday video features Robert Redford & Cate Blanchett discussing Truth, the film based on Mary Mapes memoir about Dan Rather’s fall from grace at CBS. 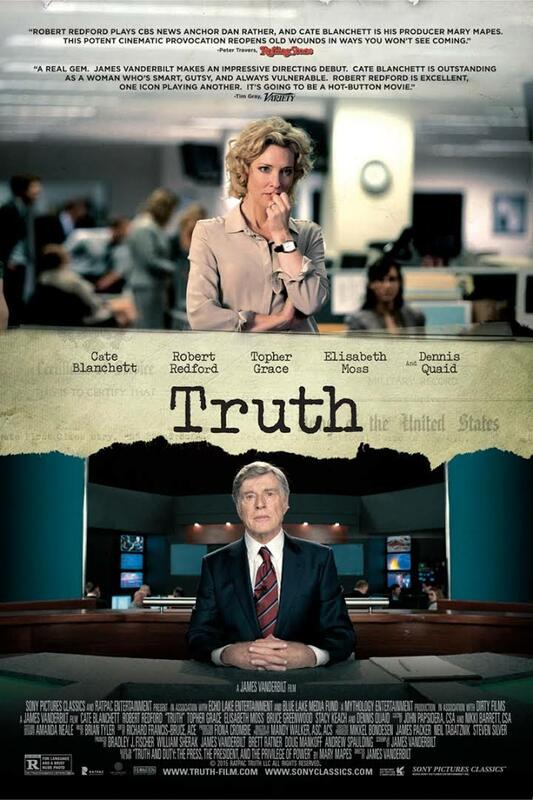 The network has refused to run ads for the film saying Truth doesn’t capture the truth; I hope some journalist out there is looking at all the ads they do run to see if they subject all their advertising dollars to the same scrutiny. Me thinks not. Dan Rather, forced to resign from CBS remains adamant that the story about George Bush escaping from serving in Viet Nam by joining the National Guard, despite some mistakes, is the truth. Rather and Mapes join Blanchett and Redford on stage in this video via the New York Times.